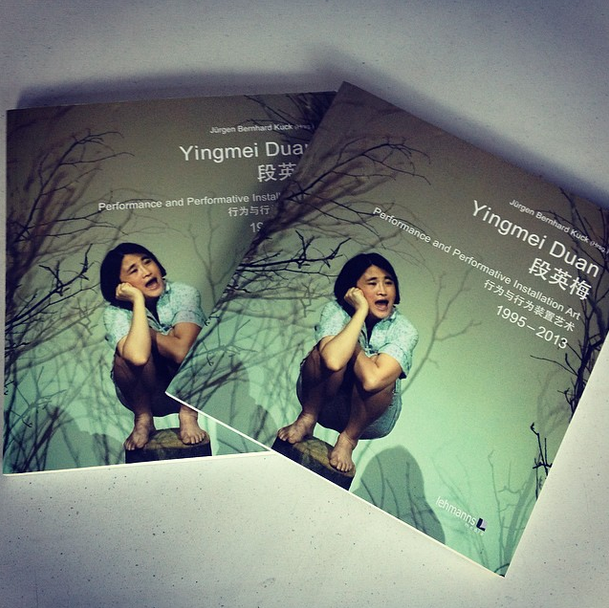 Hanmi Gallery is pleased to have received two copies of a publication written about Yingmei Duan's career as a performance artist. Heixiangning art museum in Shenzhen presents an international show of Chinese female artists who are living in foreign countries. Kristina Clackson Bonnington was invited to give a talk at The Association of Finnish Sculptors in Helsinki, Finland. From a distance, they may look like glass or ceramic, but get closer and the smell of Shin’s soap sculptures give themselves away. For the 12 weeks of the Biennale, Chinese-born, German-based performance artist Yingmei Duan will inhabit an indoor forest at the Gallery to perform Happy Yingmei. Sungfeel Yun exhibited at the East Wing Biennial, at the Courtauld Institute of Art.